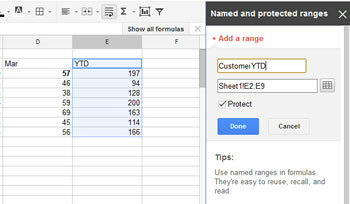 Is it possible at all to name conditional formatting rules in a Google Spreadsheet document? I have any conditional formatting rules for my Google Spreadsheet documents. These rules span and overlap many cells. Most of these rules use custom formulas, so they aren't simple like the "Text is exactly" or "Less than or equal to" rules. Sometimes when I am trying to modify or change a rule, I become quite confused as to what a rule is referring to. I need to look at the formula (which is sometimes quite long) in order to decipher what I was trying to do with that particular rule. So, is there any way to do this with conditional formatting rules? In this way, all you need to do is to click on the formula to look at your comment or "name" for the formula. Set independent/separate conditional formatting rules for background and colour?